Great photos from the parade! Love how you fit so many on your page! These bright, fun colors are perfect for this page! So fun! 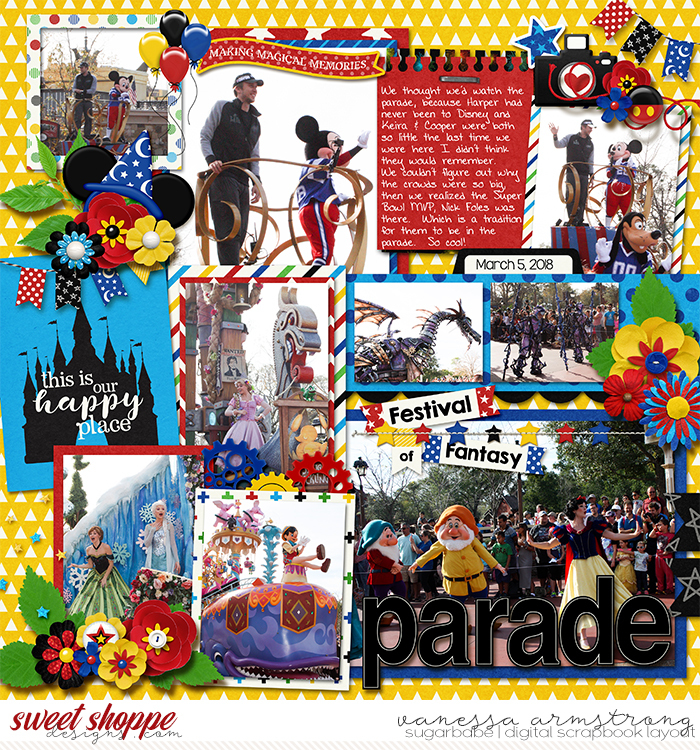 This is such a fun happy page (well any Disney layout is fun and happy)!! Amazing layers and clusters too!! Perfection.